Physician, public health reformer, MLA (1927-1932). Born in Quebec, he came to Stonewall with his parents in 1877. He graduated from Manitoba College in 1886, taught at Meridian School, then entered the Manitoba Medical College, graduating in 1892. In 1892, he began medical practice in Winnipeg, working at the Winnipeg General Hospital. 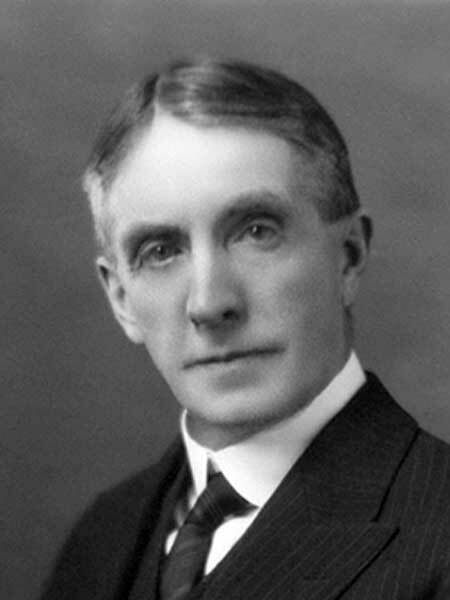 From 1901 to 1927, he served as Professor of Medicine at Manitoba Medical College and was President of the Canadian Medical Association in 1922. He was active in the public health movement for many years, he joined the Bracken government in 1927 as Minister of Health and Welfare. He consolidated a number of disparate departments into a functioning unit before he was defeated in the 1932 provincial general election. On 8 July 1914, he married Mary Susannah Bell (?-?) and they subsequently had five children: Edward Montgomery (?-? ), William Montgomery (?-? ), Jane Montgomery (?-? ), Mrs. R. N. Rowbotham (?-? ), and Mrs. R. O. Bull (?-?). He was a member of the Scientific Club of Winnipeg from 1913 to 1948. The University of Manitoba gave him an honorary doctorate in 1927. In retirement he was an ardent gardener at his property on Henderson Highway. He died at the Winnipeg General Hospital on 27 September 1948 and was buried at Elmwood Cemetery. We thank Jane Montgomery, daughter of E. W. Montgomery, for provided additional information by way of Alan Crossin.